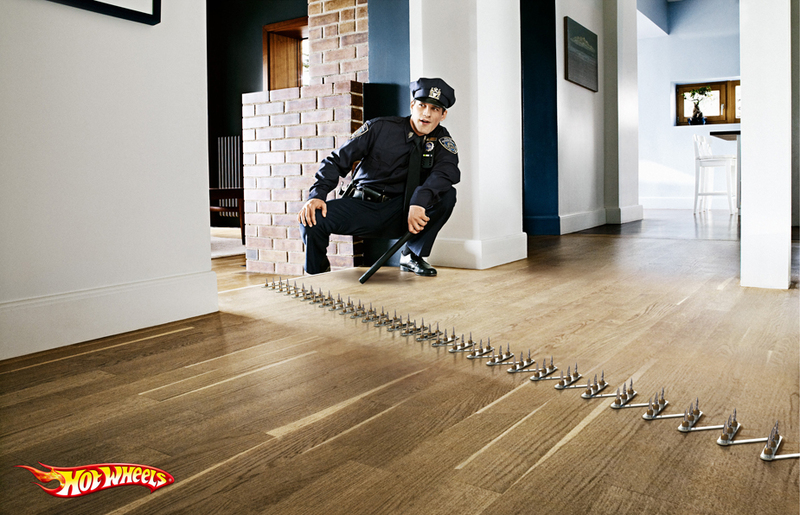 Mattel’s Hot Wheels cars are presented as the toys for speed-hungry kids in this print advertising campaign from Hungary. ”Ticket” and “Wanted” won a Gold at the Golden Drum Awards in Slovenia this month. Boys are apprehended by a policeman with ticket and a policeman with spike strip. 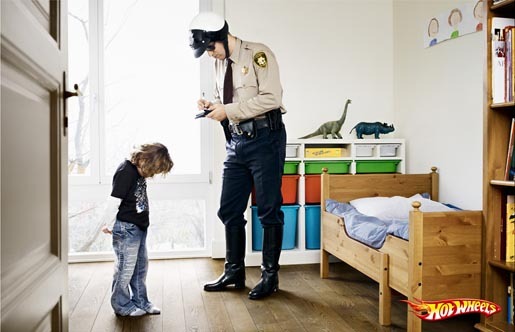 The Police campaign was developed at Ogilvy Group Hungary by creative director/art director Balazs Kismarty-Lechner, and photographer/illustrator Istvan Labady.